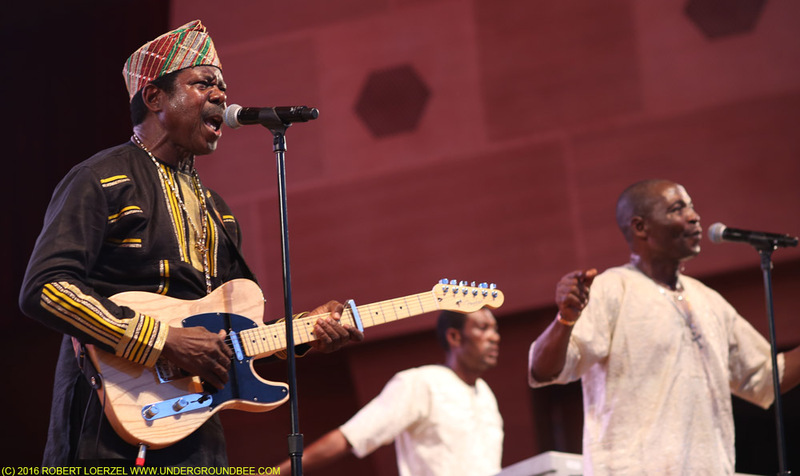 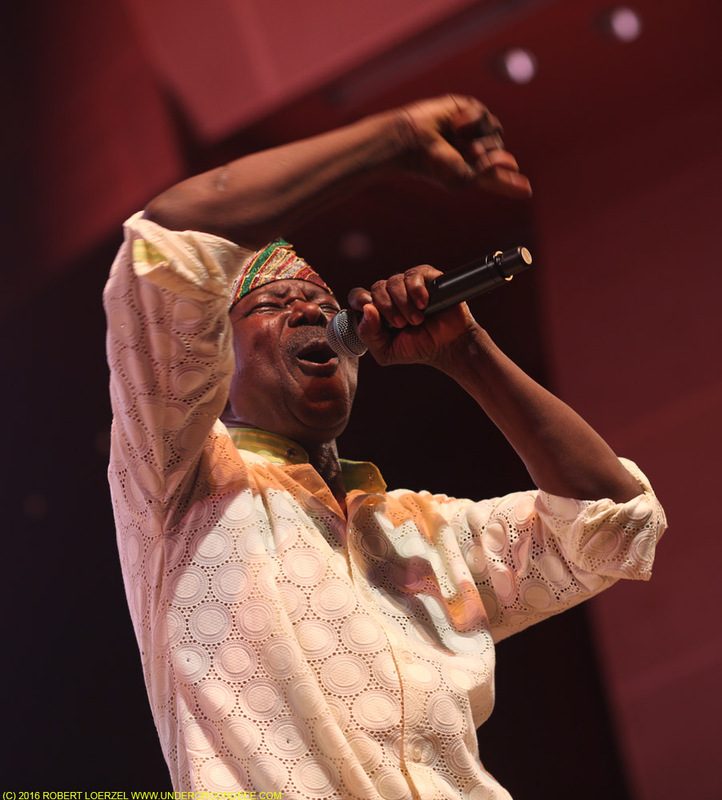 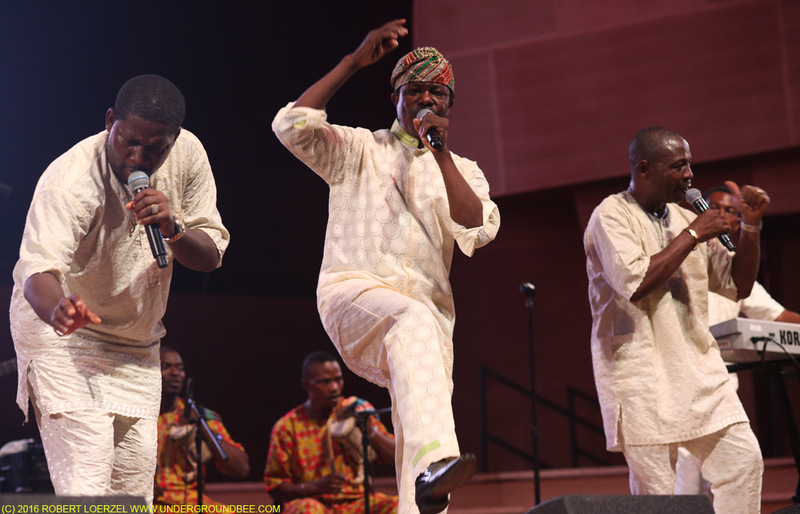 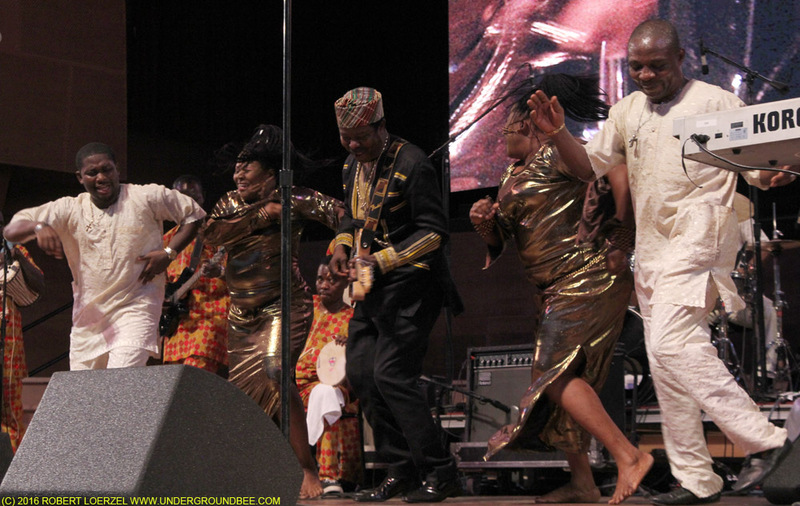 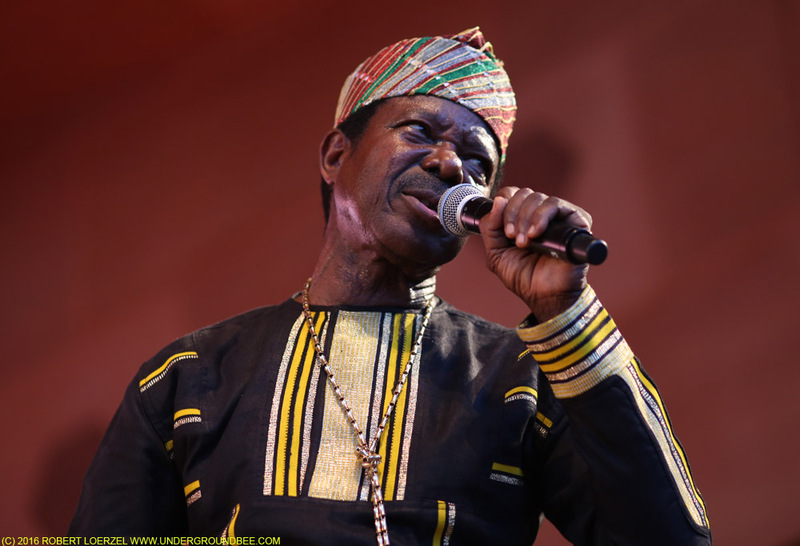 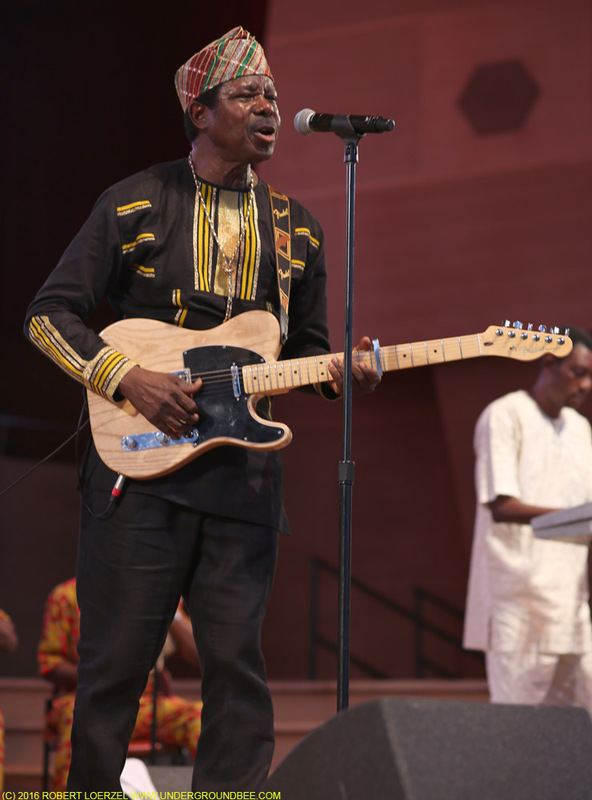 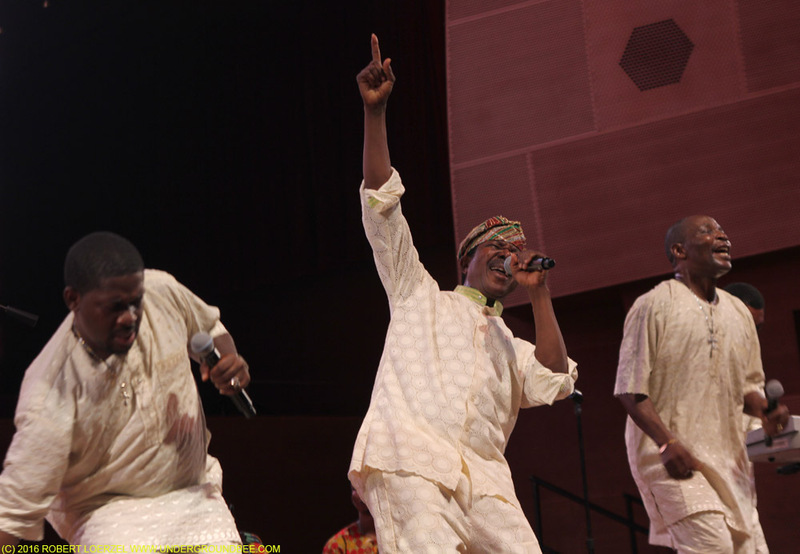 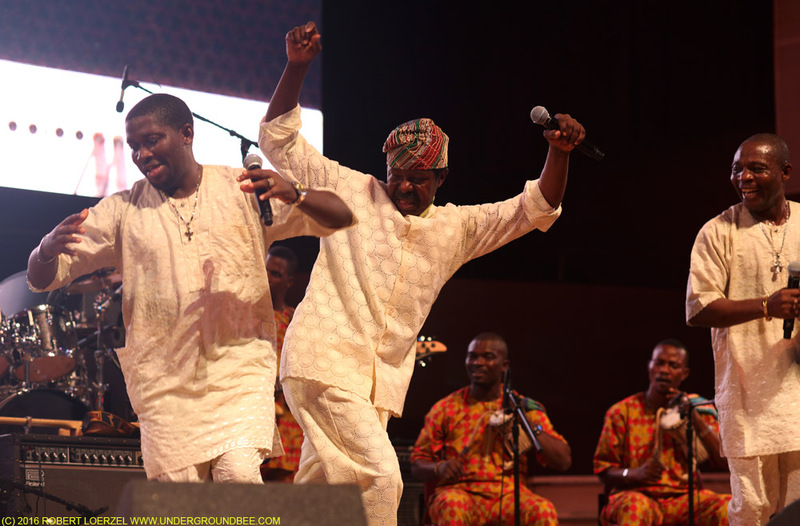 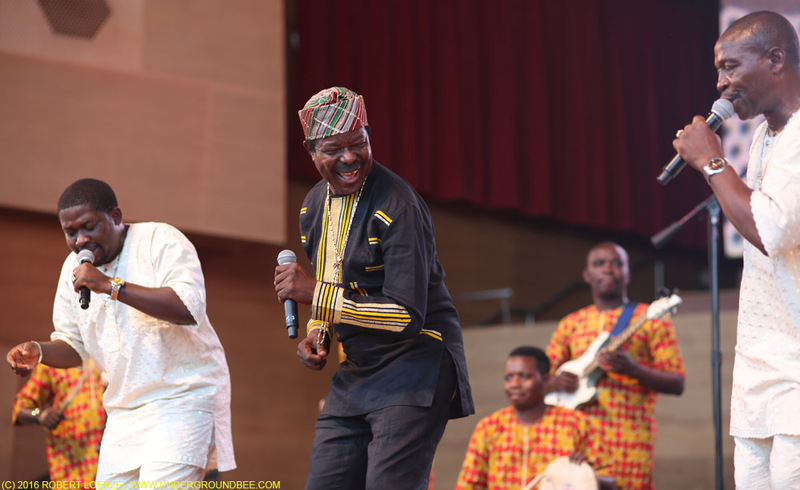 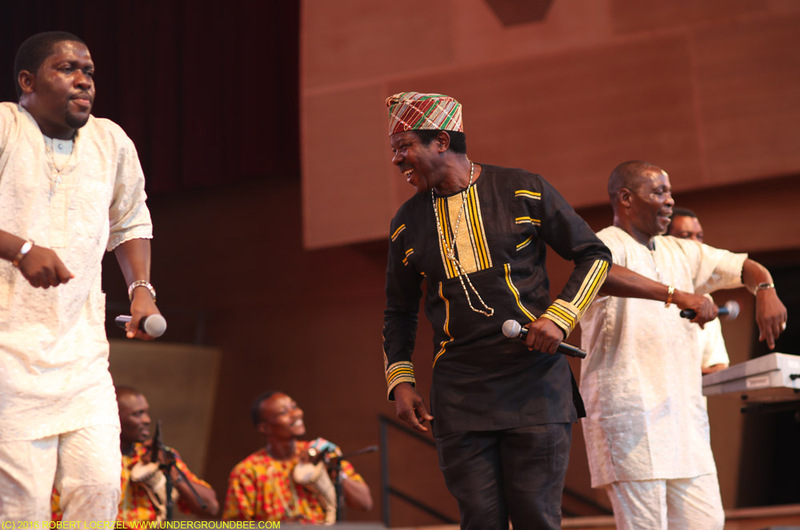 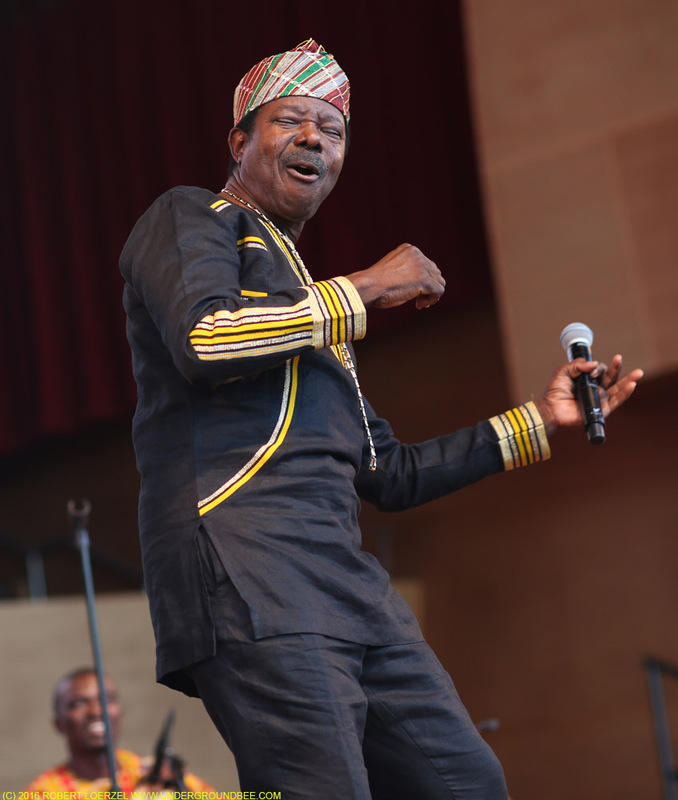 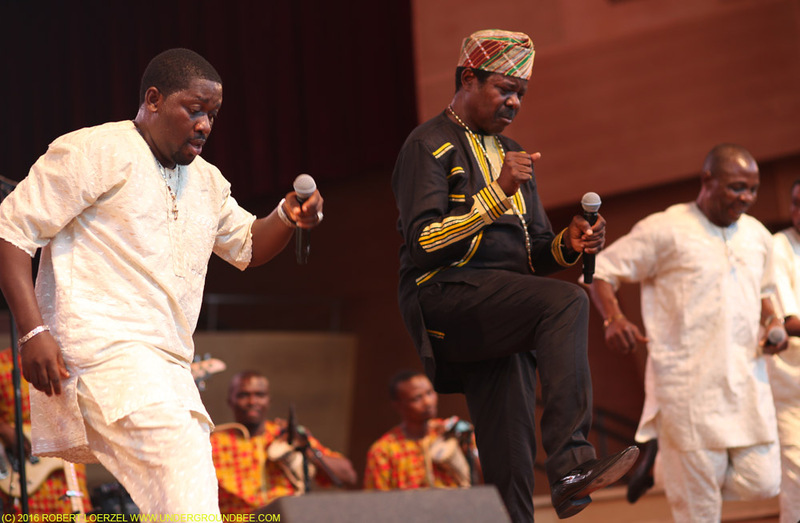 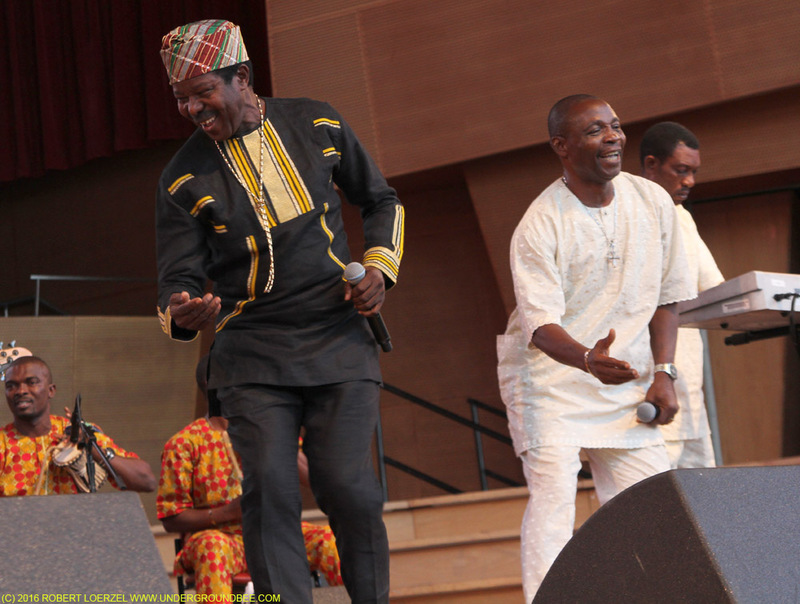 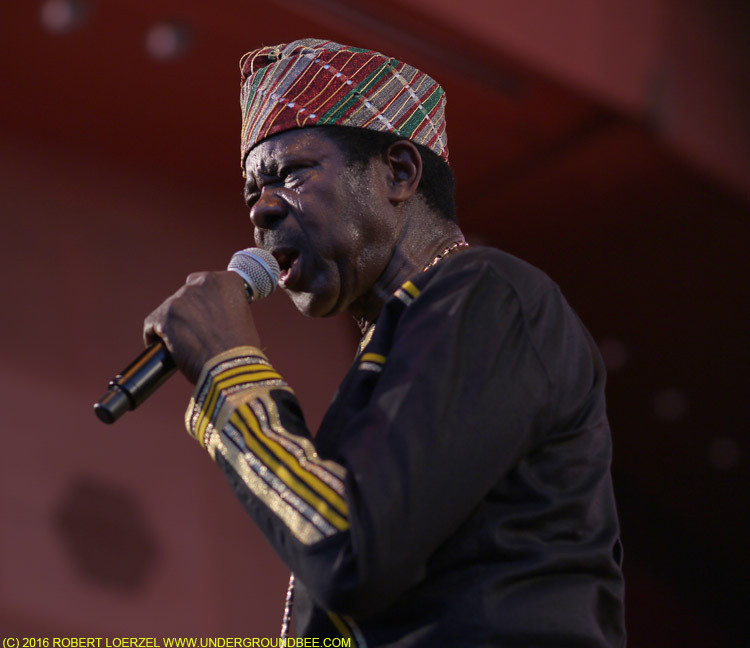 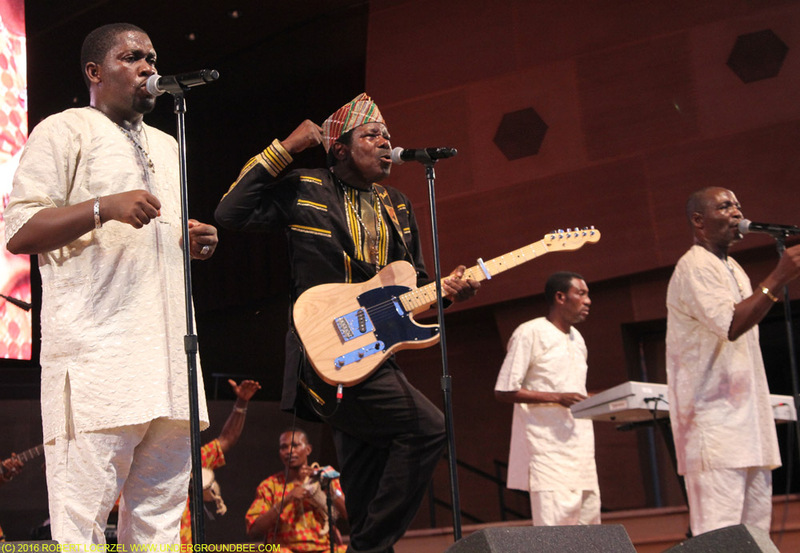 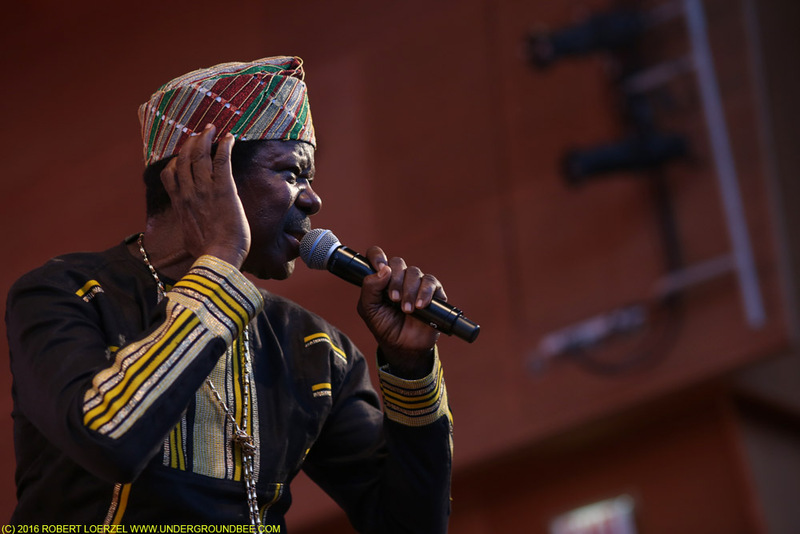 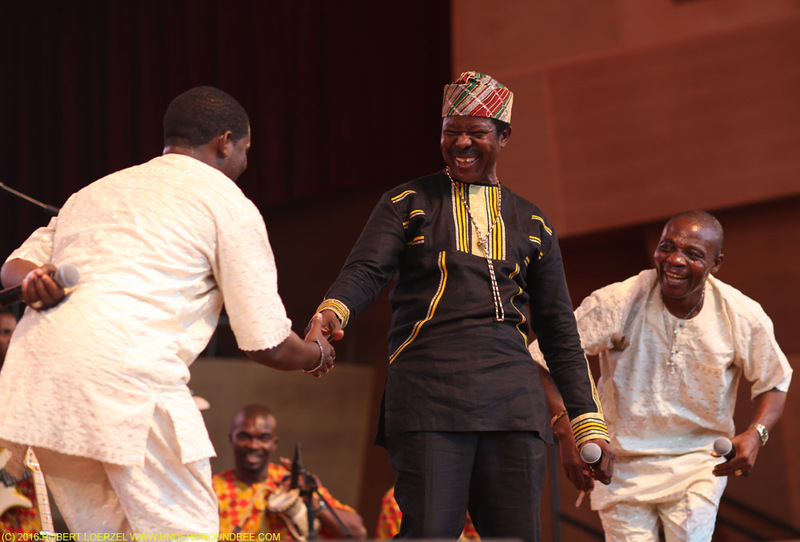 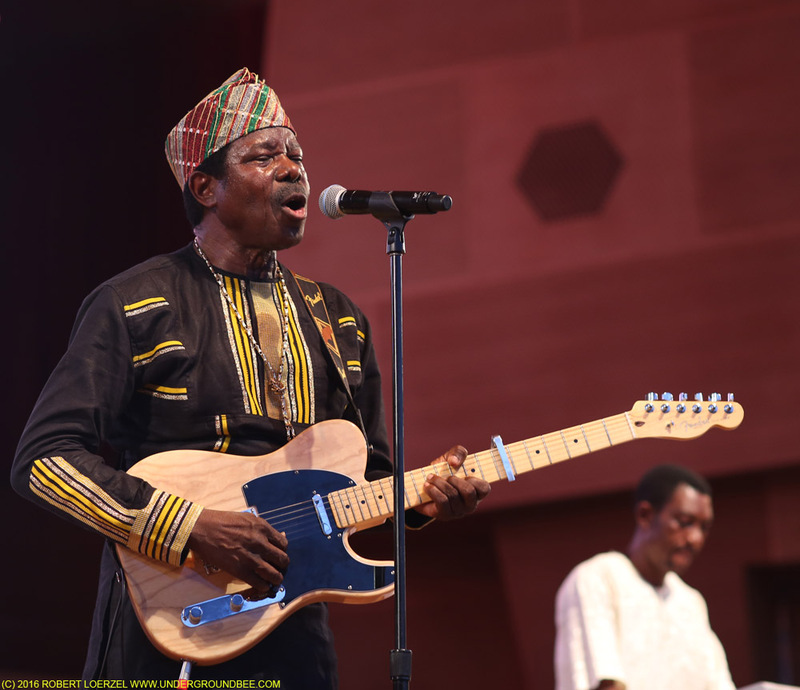 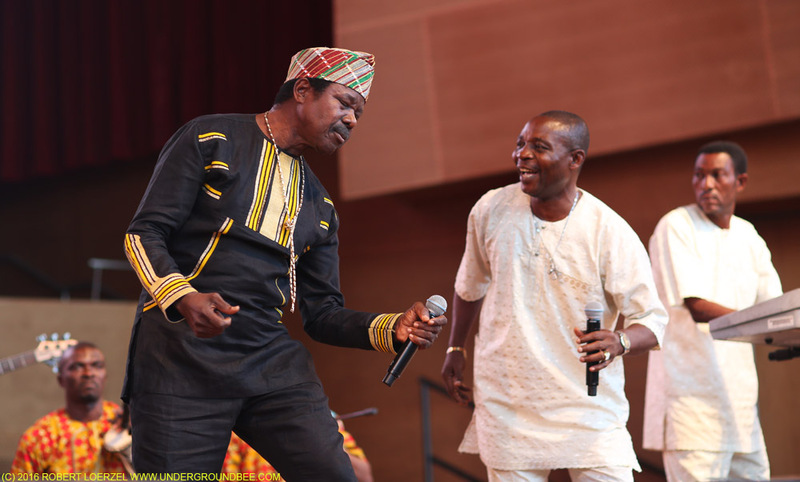 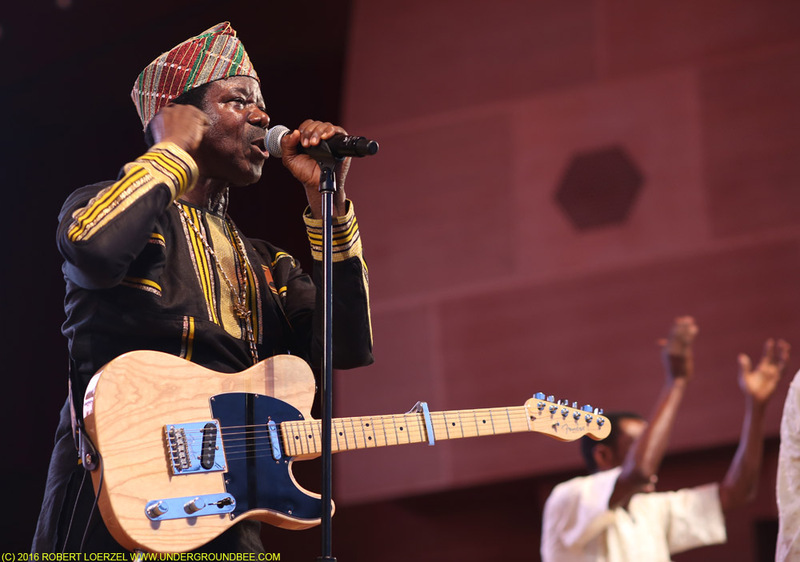 It had been years since the legendary Nigerian singer King Sunny Adé played in Chicago. 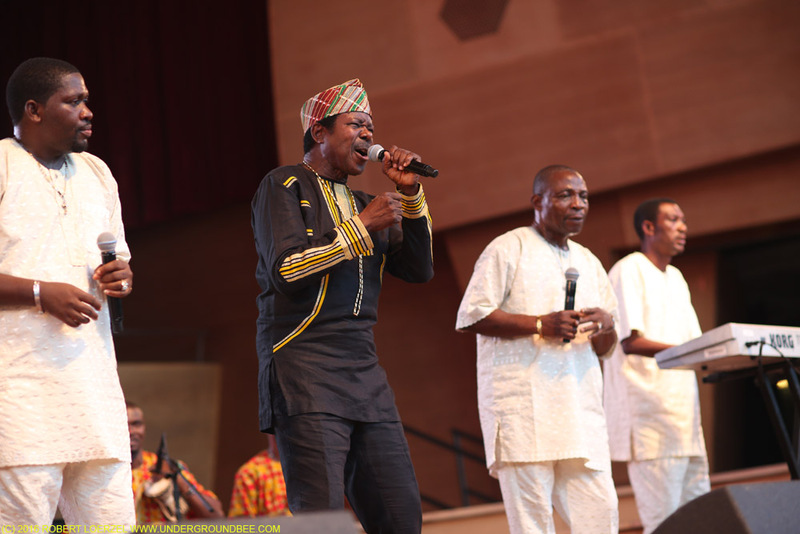 He was scheduled to perform in Millennium Park’s concert series last summer, but then that gig got canceled. 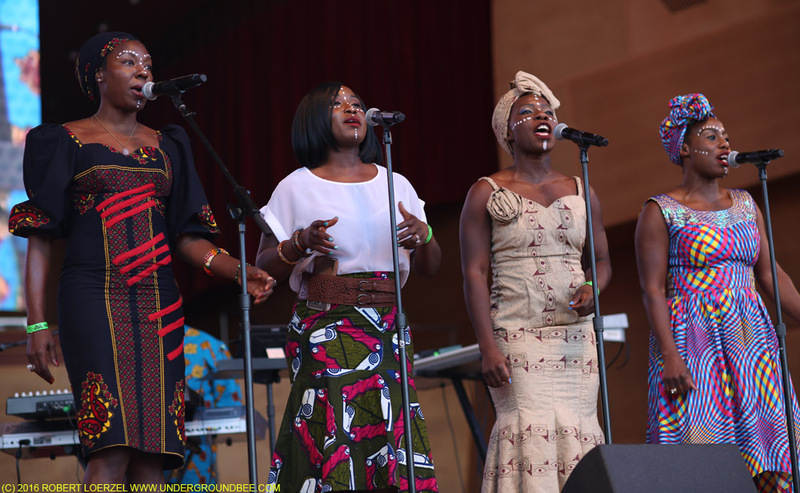 He made up for it this Monday, July 18, lighting up the Jay Pritzker Pavilion stage \with his infectious, positive vibes. 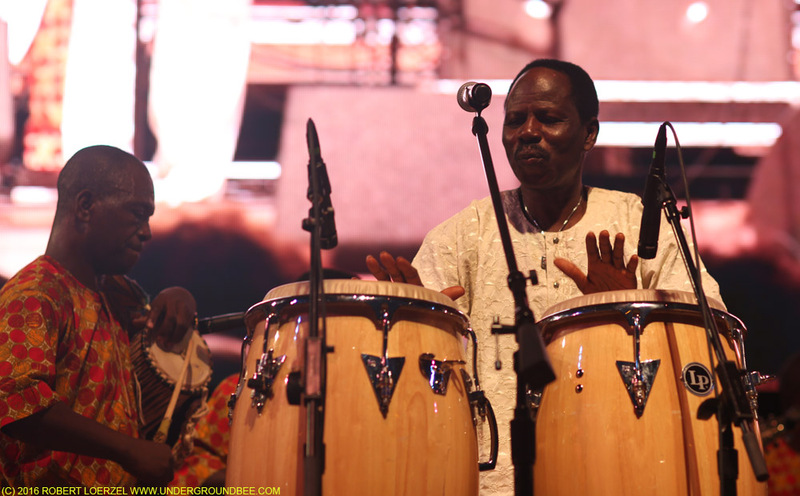 Adé and his large band always kept a great groove going, with forward-pushing rhythms pulsing through even the quietest passages. 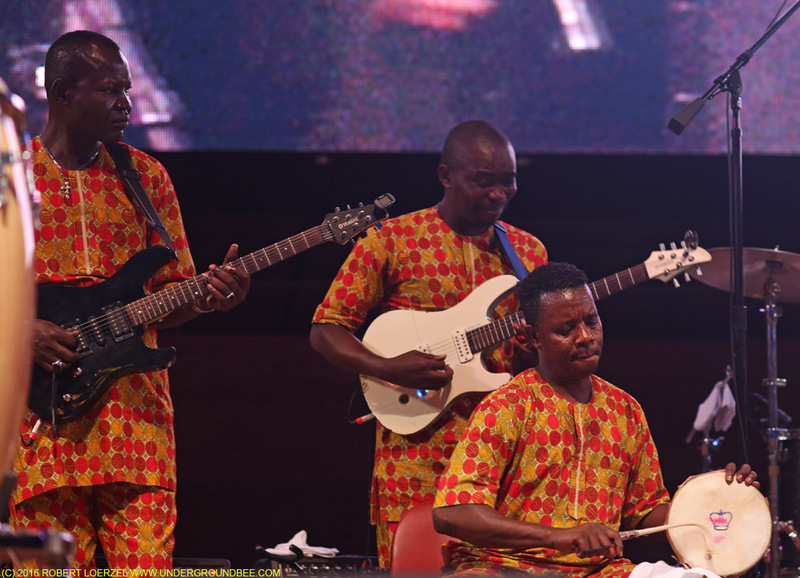 And throughout the show, Adé and the singer-dancers dressed in white acted out little scenes, almost like a theatrical company or a dance troupe — such as a guitar solo that left them all staggering in a exaggerated stupor. 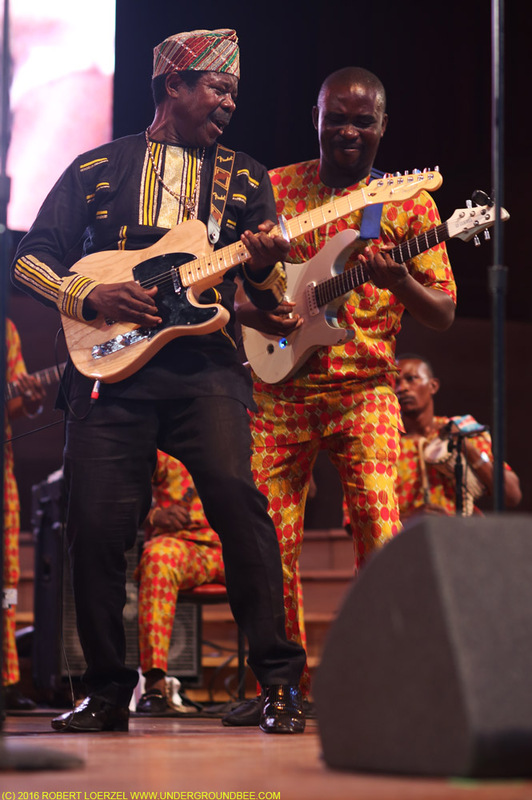 Many audience members were on their feet by the end of the show, greeting this African hero and his glorious music with enthusiastic applause. 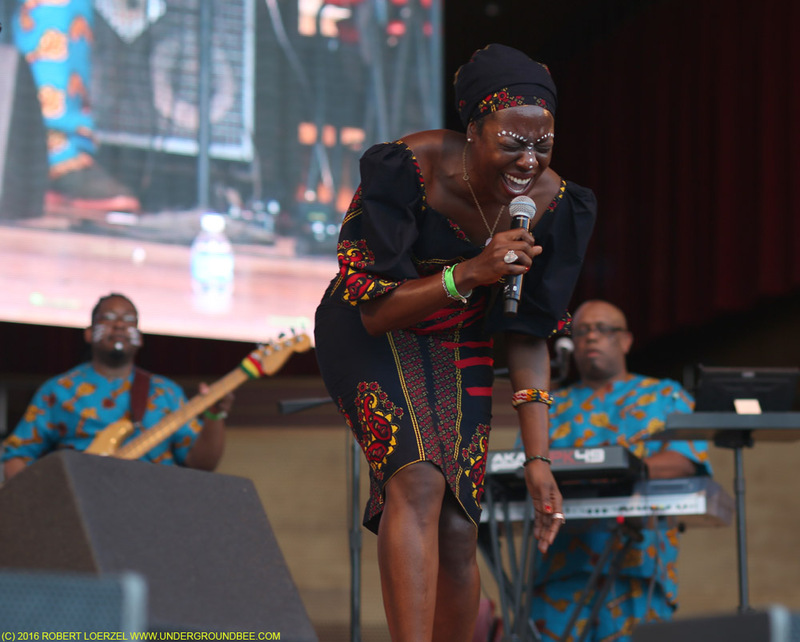 Ugochi, a Nigerian-American singer based in Chicago, opened the show, performing music that she called “Afro-soul,” blending various American and African genres.